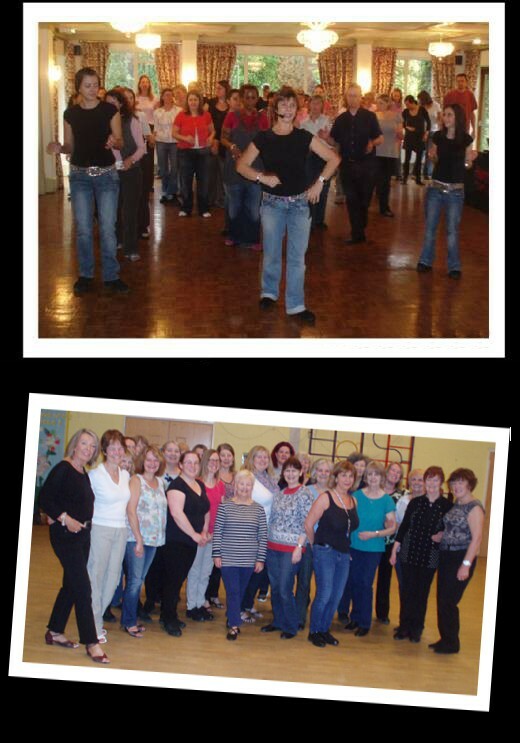 The Line Dancing Club is friendly and welcoming and always pleased to include new people in classes and activities. Line Dancing is suitable for all ages and is a healthy family activity with something for everyone. Come to our weekly Line Dancing classes, enjoy the social side and make some new friends. New Beginner Sessions are being planned. You'll find details of our classes in the Monthly Timetable. CaroLiners Line Dancing can help you develop your dancing skills if that's your aim and stretch your hobby with options for performing in public demonstrations and at private parties and events ,taking medal tests and entering Line Dance competitions. Or ....Just come and have fun! Please check for an up to date list of our different Club Dances. Line dancing will help you keep fit while you have fun! Share your passion and take your hobby further !